In its ongoing efforts to oust Syrian President Bashar Assad, the US has taken a new tone, with Secretary of State Hillary Clinton calling for a re-shaping of the Syrian opposition's leadership and dismissing the Syrian National Council. Speaking on Wednesday, Clinton said Washington was suggesting names and organizations that should be included in the new leadership that may emerge in the talks held next week in Qatari capital. 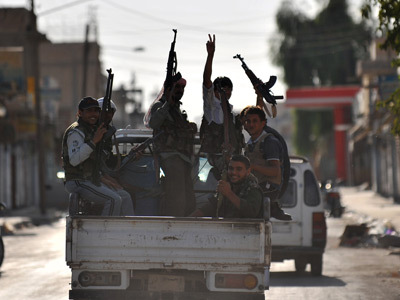 The Secretary of State was dismissive of the Syrian National Council (SNC) holding a leading role.The move has been interpreted as a sign that the Obama administration has grown disillusioned with the Paris-based group of exiled regime opponents, for failing to gain support from rebel factions. “We've made it clear that the SNC can no longer be viewed as the visible leader of the opposition,” she said. 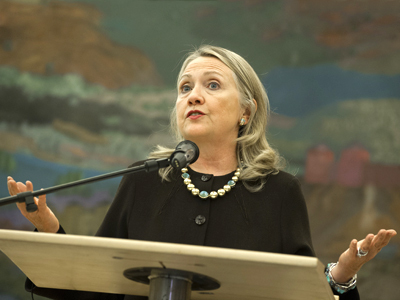 Clinton claims the leadership should represent those who are fighting on the Syrian frontlines. 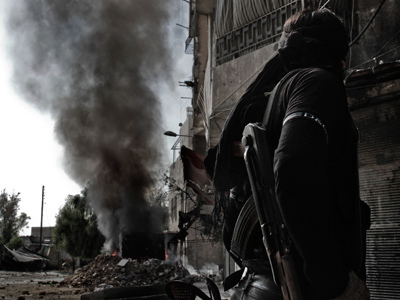 The Syrian opposition is composed of a variety of rebel groups, some of which have reportedly been infiltrated by radical Islamists linked to Al-Qaeda. 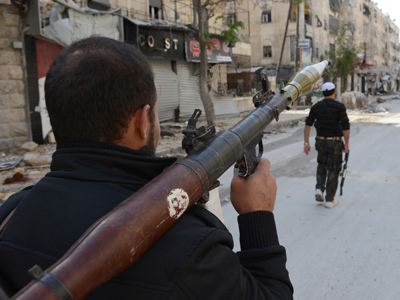 The shift of policy by Washington reflects the Obama administration’s apparent willingness to hold a leading role in the efforts to remove Assad from power, as Syrian opposition forces are set to meet next week in Doha. Meanwhile Russia keeps warning against Assad’s removal and calling for peaceful dialogue between the Syrian government and opposition. On Wednesday, Russian Foreign Minister Sergey Lavrov said the ousting of the Syrian president will do nothing to end the 19-month civil war in the county but will only escalate the violence. 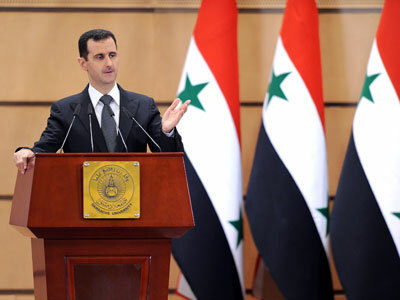 “Assad’s fate should be decided by the Syrian people,” he added. In a nod to skeptics, Clinton noted that it was no secret that many in Syria, especially minority groups, are fearful about the prospects of Assad's government being replaced by a Sunni-led opposition.